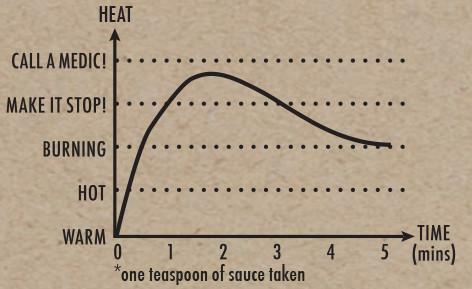 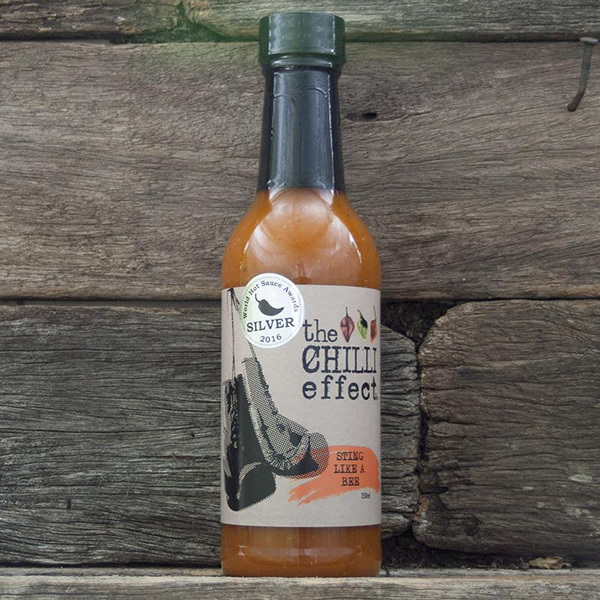 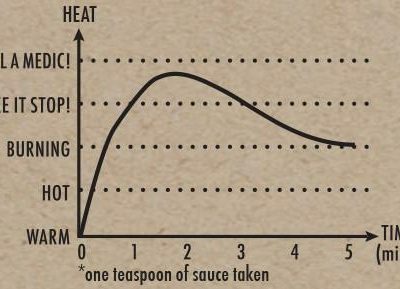 The Chilli Effect’s hottest sauce is crafted to satisfy serious chilli cravings. 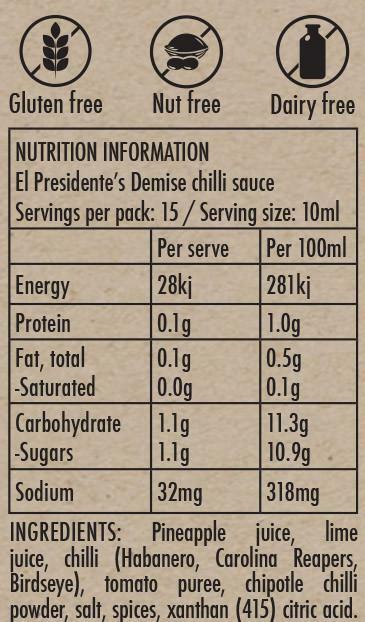 El Presidente’s Demise is one of Australia’s hottest chilli sauces packed with flavour. 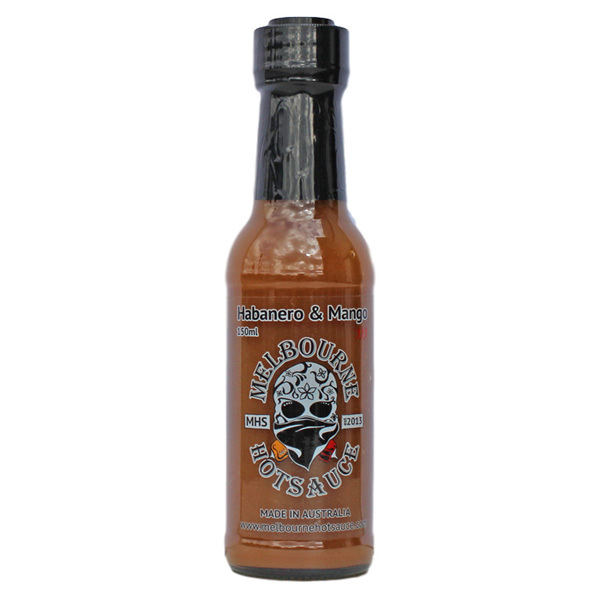 Tasty, smooth & fiercely hot! 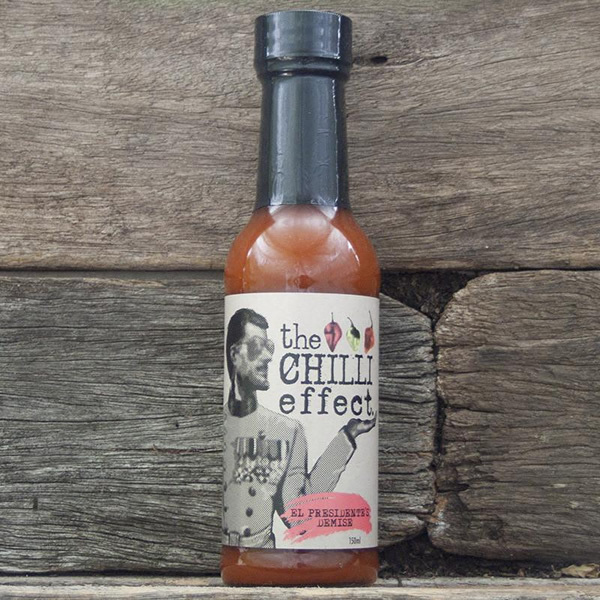 El Presidente’s Demise delivers an all round mouth heat that often causes hiccups. 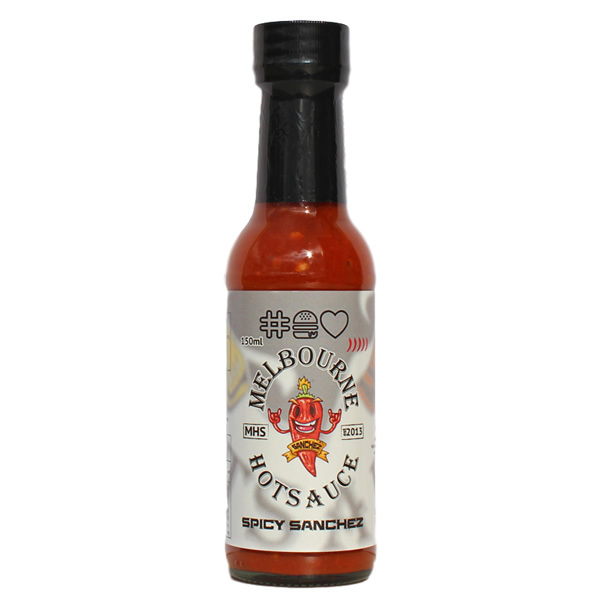 The style is perfect for eggs, pizzas, burgers, tacos, chilli con carne and anything else that you want to set fire to. 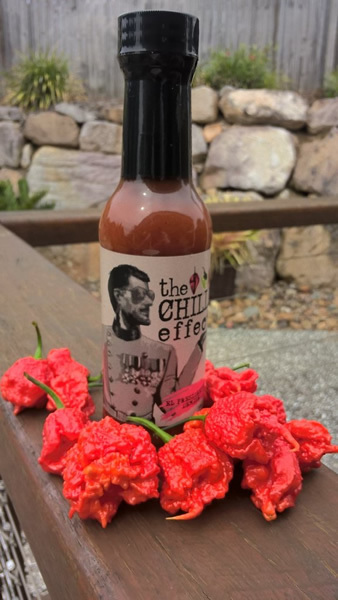 What’s the Chilli? 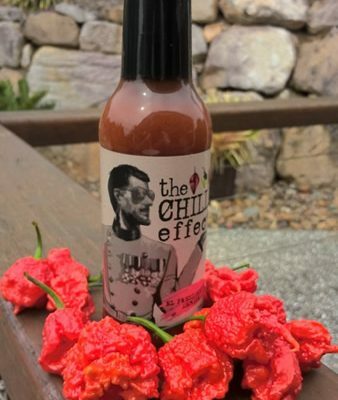 6% Carolina Reaper, 13% Habanero, 2% Birds Eye and Chipotle powder. 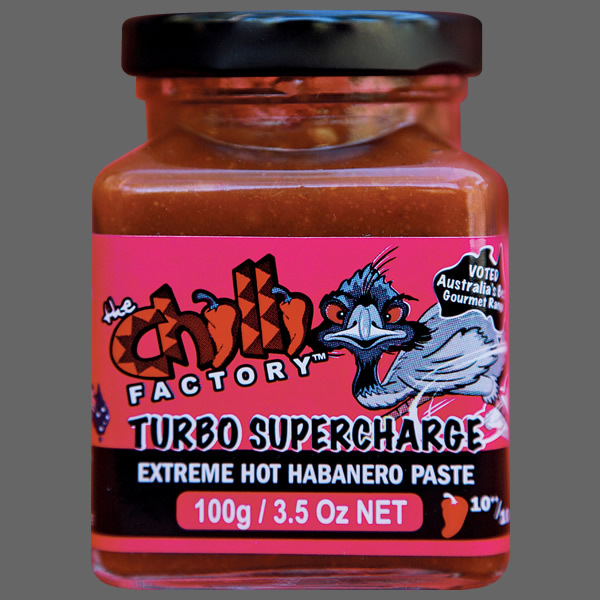 Ingredients: Pineapple Juice, Lime Juice, Chilli (Habanero, Reaper & Birdseye), Tomato Puree, Chipotle, Chilli Powder, Salt, Spices, Xanthan (415), Citric Acid. 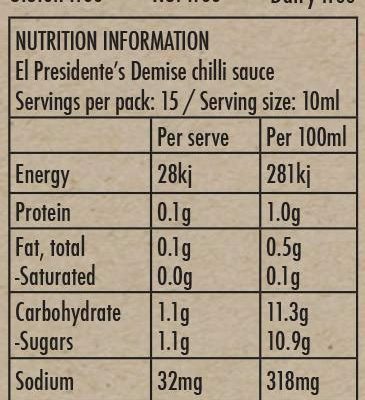 Served in a 150ml bottle.